Support and fund raising arm of the Franklin County Public Library. Come visit the just finish Eastpoint branch of the Franklin County Library. Friends of Franklin County State Parks are a nonprofit citizen support organization that assists our local state parks: St. George Island State park, John Gorrie Museum, Orman House and Chapman Gardens. Forgotten Coast Cruisers. We welcome cars of all years, makes and models. Lets get the car lovers together for some cruise ins and fellowship. The American Red Cross has been serving Tallahassee and the surrounding area since 1917. In the past eighty-three years, the American Red Cross has provided a helping hand by reaching out to local residents, and last year touched the lives of more than 10,500 people in the eight counties that we serve. The American Red Cross provided a "helping hand" that was needed following a disaster, helping to get loved ones home from the military during an emergency, training people in first aid, CPR, swimming, and HIV/AIDS courses. Bring me A Book Franklin, Inc. The program teaches parents, caregivers, teachers, middle school and high school students the importance of reading aloud to childrens from birth through "first teachers" training sessions. Also,to bring quality books to families, the use of music to enhance childrens interest in books, to develop a mentoring program with High School students and to inspire a love for reading through these efforts and to positively impact the childerns literacy rates in Franklin County. Vision: Read and inspire the region to work together as a community, collectively caring for one another and enhancing the quality of life for all. Mission: To raise money and mobilize resources to meet priority human needs. For more than 100 years, Better Business Bureau has been helping people find businesses, brands and charities they can trust. BBB Serving Northwest Florida, founded in 1985 and serving 14 panhandle counties (Escambia, Santa Rosa, Okaloosa, Walton, Holmes, Washington, Bay, Jackson, Calhoun, Gulf, Franklin, Liberty, Gadsden, and Wakulla Counties), is one of over 100 local, independent BBBs across North America. In 2017, people turned to your local BBB more than 444,000 times for BBB Business Profiles and over 57,000 times to request a business roster on more than 16,000 business profiles all available for free at bbb.org/nwfl. Apalachicola Library is open 10:00 am - 6:00 pm Monday, Wednesday, Thursday, Friday. Tuesdays 10:00-12:00 and 1:00-6:00pm. Saturday 10:00 am - 2:00 pm. Books, audio books, local history and genealogy section, wireless internet access. For 30 years, the Ilse Newell Fund for the Performing Arts, Inc. – INConcert, has presented professional classical music concerts to the Forgotten Coast. Last year, we also produced a new jazz series in Carrabelle. On December 11, 2016, Bay Area Choral Society will present their Christmas program. In January, February, and March, the classical music concerts are performed by professionals from FSU and FAMU. These will be held at the Trinity Episcopal Church located at the corner of 6th Street and Avenue E in Apalachicola. Doors open at 3:30 pm. All attendees are invited to “Meet & Greet the Artist” open reception following each concert in Benedict Hall. Classical Concert tickets are $10. This will be the second year for our much acclaimed Jazz Series Concerts in Carrabelle. Gifted jazz studies students from FAMU and FSU will perform on Friday evenings during January, February, and March at the Rio Carrabelle Studio located at the intersection of US 98 and St. James Avenue in Carrabelle. Doors open at 7 pm. Jazz Tickets are $15. BYOB. For up-to-date information, please access our website for any scheduling changes: www.inconcertapalachicola.org Or email us at inconcert.apalachicola@gmail.com The Ilse Newell Fund for the Performing Arts, Inc. – INConcert is a Florida and federal 501 (c)(3) non-profit corporation. We NEED your generous support to bring quality musical entertainment and provide opportunities for local students and artists to share their talent. For donations please mail to PO Box 405, Apalachicola, Florida 32329. Friends of St. Joseph Bay Preserves, Inc.
Friends of St. Joseph Bay Preserves is a Citizen Support Organization format to protect, preserve and support the SJB State Buffer Preserve and SJB Aquatic Preserve. Open Monday-Friday from 9am-4pm ET. Trails open sunrise to sunset.TRAM tours monthly on second Friday except October. Fall and Winter Bay Day on Second Saturday of February and October. 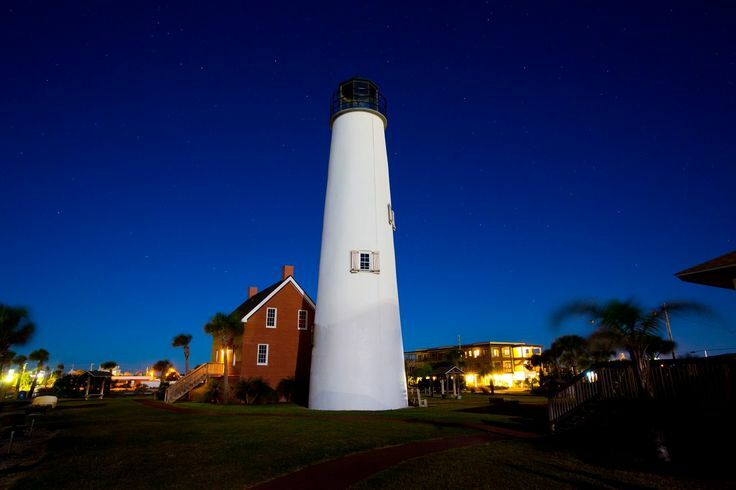 St. George Island Business Association A 501 C # organization made up of SGI businesses: a Voluntary association of individuals, firms, companies & corporations engaged in or with an interest in Economic activities on SGI. Our purpose is to create & foster an economic climate on SGI conductive to growth and development of the business community. Not for profit Animal Adoption Center and safe haven for abandoned & homeless dogs and cats. The forgotten Coast Cultural Coalition works to enhance the coastal community from Mexico beach to Alligator Point through regional multi-community cultural events, such as the Florida's Forgotten Coast Cultural Coalition. It supports efforts of local non-profit organizations which use innovative formats, especially coalitions and partnerships and address a broad spectrum of the communities, assisting underserved and diverse audiences. We are a not-for-profit organization that provides a variety of volunteer efforts, for social and environmental causes. We were created to promote friendships and social activities, while enjoying the writings of Jimmy Buffett and the tropical spirit. A non-profit citizens' organization dedicated to improving the quality of life on St. George Island. Meetings are held at the Firehouse at 324 E. Pine on St. George Island the third Thursday of each month with a social beginning at 6:30 pm, covered dish dinner at 7:00 pm and a program of interest to the community at 7:30 pm. Visitors are welcome. Bringing a covered dish to share is optional. The 7th Annual Running for the Bay Marathon is scheduled for Sunday, OCTOBER 23, 2016! Join us on this amazing course along the Forgotten Coast of Florida, from Historic Apalachicola to beautiful St. George Island. RFTB offers a Full Marathon, Half Marathon, Ultra 50K, 10K, and 5K with wheelchair and walking divisions. Enjoy a gorgeous sunrise over the Gulf of Mexico and cooling ocean breezes while crossing bridges and causeways along the course. We look forward to seeing many repeat runners and to welcoming all new runners! Visit our web site at www.runningforthebay.com for registration, more info and early savings! The Friends of the Governor Stone, Inc., is an organization that preserves and maintains, for the benefit of the general public, the sailing vessel Governor Stone, a designated National Historic Landmark and registered Florida Antique Vessel. Annual Membership is available at a variety of levels for both individuals and corporations. Save Our Shotguns Apalachicola is a non-profit 501(c)(3) working to preserve the historic structures of Apalachicola for the purpose of affordable housing. We are an all-volunteer organization dedicated to our mission: to preserve historic structures, to create housing for low and moderate income people, and to create training and jobs for local residents. Save Our Shotguns Apalachicola was founded in 2016 by a group of residents living in Apalachicola's Hill neighborhood, who sought to rescue the historic structures, including classic shotguns, that were in various states of deterioration, many hidden under a jungle of overgrowth. Unlike the historic mansions that have become the pride of the city, no attention was being paid to the historic shotguns and other decaying buildings. They also saw the need for affordable housing in the community-- residents unable to find housing in the town in which they and their children were raised;, teachers, police and firefighters unable to locate housing they could afford on their salaries. Additionally, jobs in the small city of 2500 were growing scarce; residents were no longer able to depend on the struggling fishing and shellfish industries, a dying way of life for this region that traditionally has prospered from its propitious location where the fresh water flowing from the Apalachicola River meets the saltwater of the Gulf of Mexico. They formed a nonprofit dedicated to preserving these historic structures to create housing for low and moderate income people and to create training and jobs for local residents. Save Our Shotguns conducted a survey of the two-mile square area that rises up on the north side of town and identified 96 structures that could be candidates for restoration—some individually owned, others bank or estate-owned, many abandoned. Rather than restore these houses as static museum-like replicas, Save Our Shotguns is working to create affordable housing through historic preservation. The organization is seeking projects and funding toward these goals. Franklin Needs, Inc is a 501 C3. The organization raises needed funds for use in Franklin County, by Franklin County women in their fight against Breast Cancer. Historic Apalachicola Mainstreet, Inc. is a non-profit organization established by business owners, property owners and citizens to encourage collaborations and provide education, support, guidance, facilitation and vision for the promotion of preservation, improvement and economic restructuring of Apalachicola's historic commercial districts. Franklin County Annual Dr. Martin Luther King Jr. Celebration Held annually 3rd Monday of January. We are a non-profit conservation organization dedicated to the protection of the Apalachicola River and Bay. Since its founding in 1998, the Apalachicola Riverkeeper mission has been to advocate for and secure the protection and stewardship of the Apalachicola River and Bay, its tributaries and watersheds. Our purpose remains to improve and maintain the Apalachicola's environmental health and productivity, and to preserve the natural, scenic, recreational, and commercial fishing character of these waterways. The Apalachicola Riverkeeper is a licensed member of the national Waterkeeper Alliance. There's a touch of fall in the air and it's time to GO CAMPING! What better way to spend a weekend than relaxing at the beach. Whether you like to fish, go kayaking, bird watch, or look for shells, St. George Island State Park has something for everyone. For the birders out there, the Neo-Tropical migrants heading for their wintering grounds in Central and South America are starting to show. Many different types of raptors such as Peregrine Falcons, Marsh Hawks and Kestrels are also being spotted at this time. The campground is filling up quickly so be sure to make your reservations soon. Reservations can be made online at http: www.reserveamerica.com or by phone 1-800-326-3521. The Apalachicola National Estuarine Research Reserve is a the second largest in the nation encompassing over 246,000 acres. The Apalachicola National Research Reserve is also a UNESCO World Biosphere Reserve, an internationally designated protected area meant to demonstrate a balanced relationship between people and nature. The Reserve's Nature Center in Eastpoint features exhibits on the flora and fauna of the ares including aquariums, open tanks, local sea life, a small theater. Open to the public Tuesday - Saturday 9:00-4:00 pm. The Rotary Club of Apalachicola Bay meets weekly at Tamara's Tapas on Tuesdays at Noon. Eastpoint Volunteer Fire Department's fire district serves a 200 square miles area of central Franklin County, Florida, and the primary response area of population is 2,158 and the secondary response area / mutual aid of population is 6,500. EVFD's services provide firefighting, hazardous material response, BLS emergency medical service, vehicle rescue (extrication), search and rescue, and support. EVFD have three fire apparatus. Also, we provide a mutual aid as needed to Apalachicola and St. George Island Volunteer Fire Departments. EVFD is a member of Franklin County United Firefighters Association. Regional office for public libraries in Franklin, Jefferson and Wakulla counties. 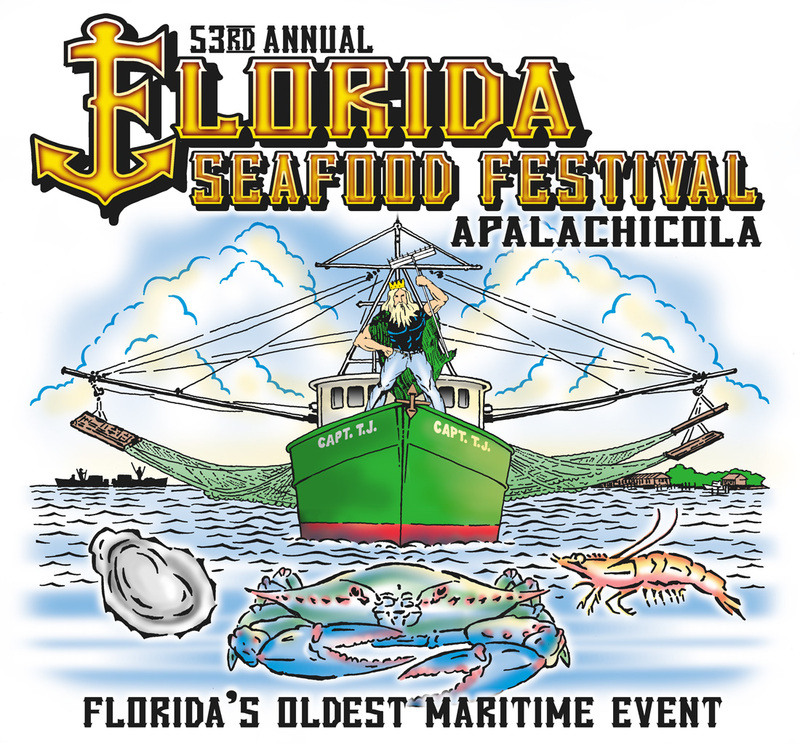 Make plans now to attend the Florida Scallop Festival, October 6th-7th 2017 along the shore of beautiful St. Joseph Bay in Port St. Joe, Florida. With Sister Hazel headlining the event! Now the new home of the Cape San Blas Lighthouse, George Core Park, with it's towering (and shady) pine trees, refreshing sea breezes and pictureque setting, provide the ideal location for this fall event. Art & craft vendors, educational exhibits, our popular kid zone and many great food vendors will be located throughout the park to make the two-day event and enjoyable experience for all, with sweet southern-fried scallops headlining the menu, of course! 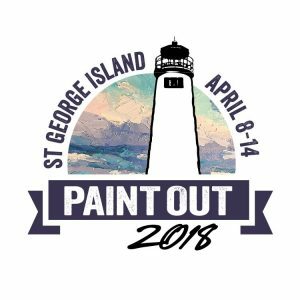 St. George Island Paint Out Inc. The 3rd Annual SGI Brewfest features an even broader selection of amazing craft beers, friendly faces, and furry friends. Come enjoy a day of relaxed tasting, in an environment that gives you time and space to actually talk with the brewers themselves. All proceeds go to help fund the Franklin County Humane Society – beers, beaches, and bettering the lives of animals. What’s not to love? For 2018, we are debuting new VIP benefits, exclusive beers, and SGI Brewfest merchandise. Call some friends and get your tickets now – and VIP tickets are an even better deal. Featuring these delicious breweries, and more! The Capital Area Community Action Agency, Inc. (CACAA), is a private non-profit organization-501(c)(3) that was created in 1965 as the Leon County-Tallahassee Community Action Program to serve only Leon County residents. In 1980, it assumed sponsorship of antipoverty programs in Gadsden, Jefferson, Calhoun, Liberty, Franklin and a portion of Gulf Counties. The name was then changed to compliment the expanded service area. In 2010 service was extended to include all of Gulf County. Wakulla was the last county to be added to the Capital Area Community Action Area service area. Habitat for Humanity, a non-profit volunteer driven organization. Habitat is dedicated to creating work force housing for hard-working families in Franklin County. A large Amphibious Warfare Training Camp from 1942-1946, it is estimated that over 250,000 men and women passed through Camp Gordon Johnston during its operation. The Camp Gordon Johnston Museum honors and preserves the heritage of these brave soldiers through extensive histories, displays, weapons, videos, and photographs of the area and life, at it existed at the camp. This is the only World War II museum east of New Orleans and the only one in Florida. Admission is free but donations are accepted. Located at its new facility, 1873 Highway 98 West, directly across from Carrabelle Public Beach. Hours are: Tuesday - Saturday: 11:00am - 5:00pm Sunday - Monday: CLOSED Tours and special requests are welcome with advance notice. (850) 697-8575. www.campgordonjohnston.com.